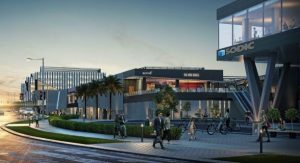 SODIC is launching Eastown Commercial, which is a dynamic new office and retail complex in New Cairo’s main road (90 street). Eastown Commercial consists of two city blocks joined with one continuous spine, forming a unified space for walking, shopping and working. Eastown Offices offers sustainable commercial opportunities, consisting of business and leisure hubs, over a total area of 90,768 m2. 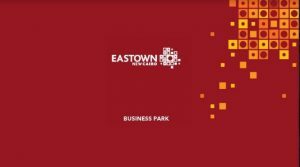 Eastown offices consists of 8 buildings that are designed overlooking a central piazza that is directly linked to the main spine of the adjacent retail hub. The design took a highly creative, playful/formal approach to set the scene for this leisure/business destination. 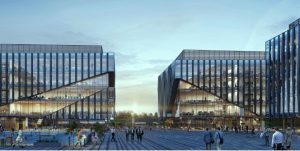 Office buildings are composed of 4-storey buildings elevated on a clear see through glass base, enhancing the visual connectivity and accessibility with the central piazza. Eastown Commercial will be home to some of Cairo’s finest restaurants, lounges, and cafes as well as top brands and boutiques. All of these will be situated among a pedestrian friendly environment embellished with beautiful greenery. Eastown offices is an amazing opportunity for investment and in one of the most successful compounds in new cairo.